When it comes to problems with drums, liners can hold the line. 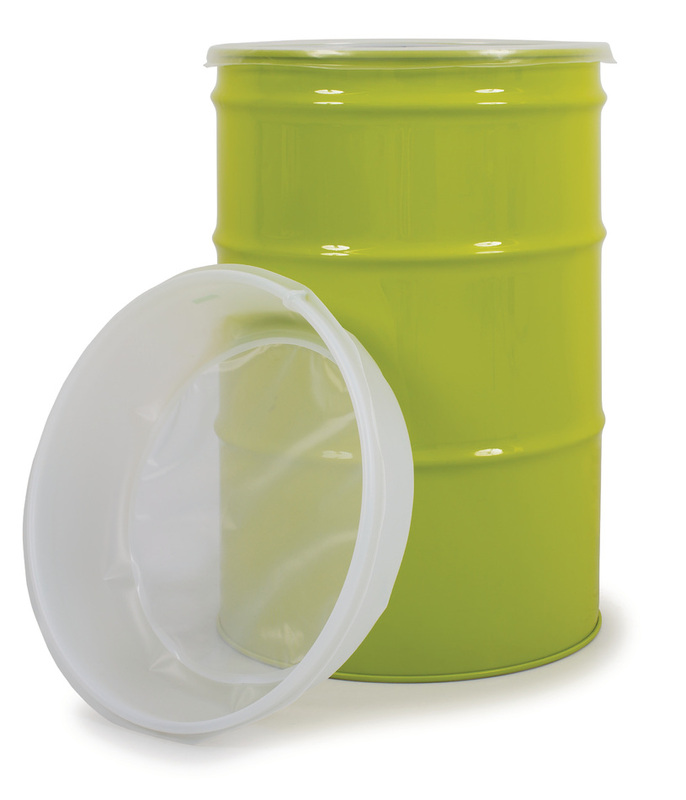 Steel and plastic drums, from 12 to 55 gallons, have long been a popular way to ship bulk food ingredients. They are sturdy and relatively easy to store and handle. However, they also present certain challenges. They can be hard to evacuate completely; cleaning and reconditioning them is labor-intensive; and products that are abrasive, high in acid, or otherwise aggressive can wear them down, requiring expensive replacement. Drum liners can help mitigate or even eliminate these problems. 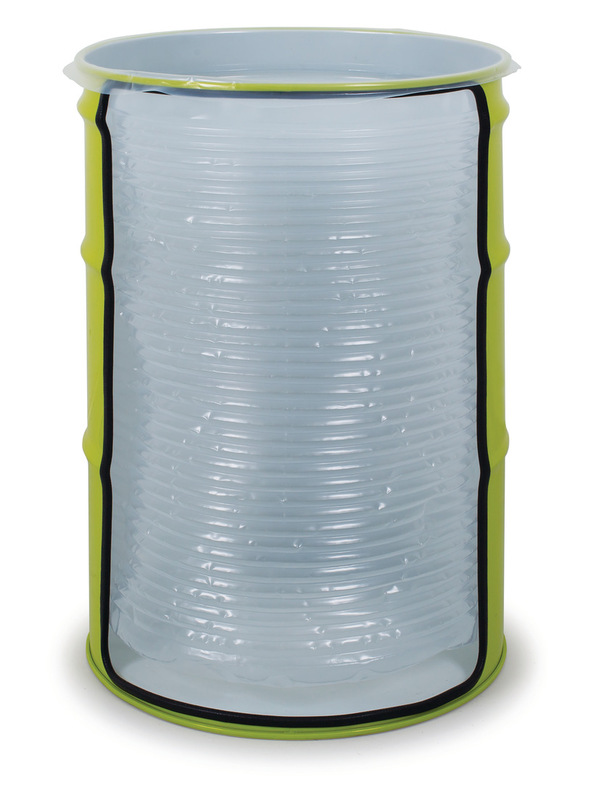 Made from flexible or semi-rigid polymers, drum liners protect both the drum and the product inside. They make cleaning easier, and can even remove the need for it entirely in certain closed-loop applications. They serve as an additional barrier for the product, protecting it from both contaminants on the drum’s inside walls and the outside world in general. They also keep the drum from constant contact with the product, extending its life and making it a better candidate for reconditioning or recycling when it does reach the end of its usefulness. Straight-sided: This is most often recommended for highly viscous products that must be evacuated by a pump with a follower plate that descends into the drum, squeezing the product upward. Accordion liners: These have pleats that allow them to adjust in height. 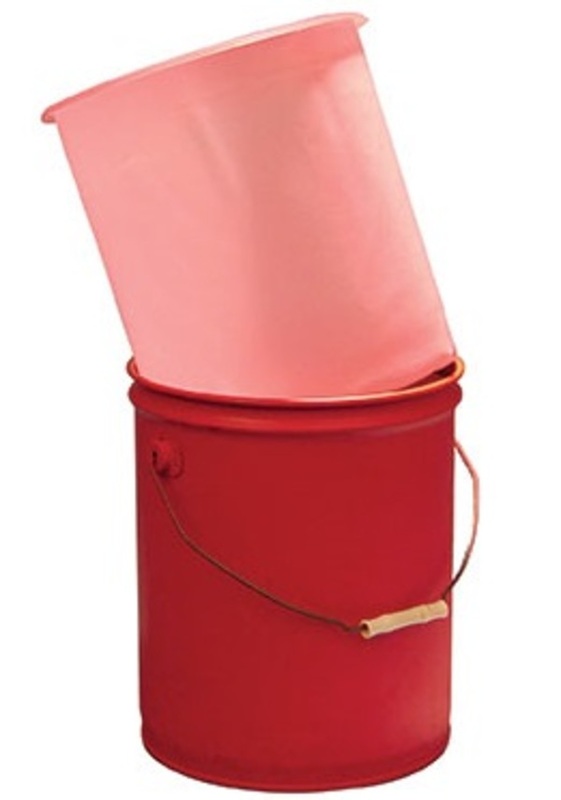 They are suitable for users who have to fill drums of varying heights and do not want to store multiple sizes of liners. Combination liners: These have sides that combine a band of accordion pleats with straight walls. They are good for users who have to use a follower-plate pump but need to accommodate different drum heights. Vented inserts: These liners include four holes near the top to vent trapped air during a fill, allowing drums to be filled with the lid on. Other specialized liners include anti-static liners, which are designed to eliminate static that can build up during filling with powder and become a nuisance (or worse), and hot-fill liners that can withstand temperatures of up to 350°F. CDF Corp. also has useful accessories for drum filling, including strainer inserts, interior and exterior lid covers, and dust caps. For more information on the benefits and options of drum liners, download our corporate brochure. Flexible packaging is taking the world by storm. It’s preferred by manufacturers, wholesalers, retailers and end-users. Its popularity isn’t just a trend. For nearly all dispensable products, there’s a flexible packaging possibility. What can it do for you? Check out these 6 advantages. You’ve probably seen flexible packaging for single-serve fruit drinks and household product refills, such as laundry detergent. But did you know that it safely keeps bulk quantities of health and beauty products, salad dressings, chemicals and paint fresh? Versatility is one dominant characteristic that separates flexible materials from rigid packaging. From warehouse to pantry, smaller packaging fits where traditional packaging can’t. How much storage space do you need for daily operations? With flexible packaging, you’ll probably need less. Even with bag-in-box styles, containers are smaller when empty and smaller when full. That gives you more mileage from your storage space. The space-saving nature of flexible packaging also benefits transportation costs and carbon emissions. Smaller, lighter containers require fewer vehicles, fewer trips and create fewer carbon emissions in the process. From ounces to gallons, flexible packaging offers so many options, there’s probably at least one that suits your needs. Choose from several different films, such as the standard laminated polyethylene/nylon, high-barrier laminated polyethylene/EVOH/nylon or metalized polyethylene/metallized polyester. Don’t let flexible packaging fool you. It’s lightweight, but also tough. Bag-in-box containers use significantly less plastic than rigid or semi-rigid containers. CDF1 Smart Seal Technology™ monitors each seal in every liner bag for consistency and stores data for future reference. And a series of in-process tests, including a visual inspection, further ensures the integrity of every bag. Packaging Digest suggests that when it comes to branding possibilities, flexible packaging is just getting started. It’s malleable and lends itself to almost limitless graphic designs. For example, photochromatic ink responds to sunlight, making branding messages appear or disappear. And with clear designs and better inks, the brand message looks sharp and consistent. Ordinarily, a product update, such as a new flavor or color or an ingredient change, requires an expensive shift in production. But with flexible packaging, rollout of a new product or alteration is fast and simple. Maybe you want a different tap style, a custom liner or new graphic design. Or maybe the change is temporary, such as for a seasonal product. Whatever the modification, flexible liquid packaging adapts fast to keep production on time. Anchor Printing says, “Brand leaders have the responsibility to keep their products dependable, secure and easy to distribute without any shipping disasters.” That sums up the CDF philosophy in a nutshell. In an era where less really is more, flexible packaging delivers. Download our Bag-In-Box brochure to learn more. Require nearly 4.4 times as much packaging material by weight. Increasing by nearly 5.5 million tons. This would result in 2.3 times more global warming potential. This was equated to adding 3.3 million more cars to the road. Engineering in plastic packaging enables innovation and performance – the ability to extend the shelf life of foods and medicines. Plastic packaging viewed from the entire life cycle have more benefits than the snapshot that has been taken in years. The afterlife of plastic is further contributing to sustainability in many ways. The ability to recycle, reuse and repurpose for energy value and converted to liquid oil, electricity and into other fuels. There have been great strides made in the reusability and repurposing of plastic containers. These valuable resources are used to make fleece jackets, new plastic bottles, pipes, pallets, creates and buckets, decking and other lawn and garden products. The majority of product stemming from recycled plastic bottles, non-bottle rigid plastics such as deli and dairy containers, bakery, vegetable, fruit containers, and plastic film, bags and outer wrap. Plastic enhances our lifestyles, our economy, and the environment. CDF Corporation, a leading manufacturer of drum, pail, intermediate bulk container and bag in box liners and flexible packaging, is pleased to announce a broad utility patent for the EZ-Flo liner has been granted. The U.S. Patent and Trademark Office has granted EZ-Flo Technologies US Patent 8,960,502, a utility patent that covers the EZ-Flo liner. Other patents are pending on the dispenser bottle, methods of use, methods of manufacturing, filling the liner and sealing and lidding of the liner. The inventors of the EZ-Flo liner patent are Charles Stehli, Dawn Pansier and Bob De. CDF Corporation is the sole worldwide authorized supplier of the EZ-Flo liner. The EZ-Flo liner is part of the EZ-Flo packaging/ dispensing system. The EZ-Flo system is an environment-friendly dispensing alternative to traditional squeeze, pump and spray bottles. The EZ-Flo’s innovative packaging/dispensing system uses patented technology to dispense products of various viscosities without the assistance of gravity. The system is cost effective, reducing waste, time and labor, while improving overall productivity. The EZ-Flo packaging/dispensing system reduces product waste, eliminates cross contamination caused by refilling bottles and reduces trash-steam waste. The sanitary vacuum sealed liners are available in a wide variety of sizes and can be utilized in a squeeze, portion control, spray or pump system – perfect for food industry, chemical, or cosmetic applications. The EZ-Flo Packaging/Dispensing System is an environment-friendly dispensing alternative to traditional squeeze, pump and spray bottles. The EZ-Flo’s innovative packaging/dispensing system uses patent pending technology to dispense products of various viscosities without the assistance of gravity. The system is cost effective, reducing waste, time and labor, while improving overall productivity. At the New Products and Services Presentations, CDF Corporation will present their newest product, the EZ-Flo Dispensing System, an environment-friendly dispensing alternative to traditional squeeze, pump and spray bottles. The EZ-Flo’s innovative dispensing system uses patent pending technology to dispense products of various viscosities without the assistance of gravity. The system is cost effective, reducing waste, time and labor, while improving overall productivity.